Privately owned and operated, Aaron Mauk takes great pride in the company's ability to design using a diverse range of quality products that meet many of today's environmentally conscious standards. Our showroom is proudly located in the historic district of Tipp City, Ohio and displays an eclectic mix of styles from traditional, to modern. Our goal is to make your home's newest room uniquely yours rather than trying to limit choices with a restricted "cookie cutter" product offering. Mauk Cabinets blends modern and handcrafted products to make multiple options available for every project and every budget. Our excellence in design can be found in some of the finest custom homes in Ohio. For quality, selection, attention to detail and today's latest cabinetry innovations - Mauk Cabinetry is the natural choice in the Miami Valley. Thank you for visiting our Houzz page! We are Interior Designers specializing in Kitchen & Bath Design, and Remodeling in the Greater Cincinnati Areas. Each project is unique, and therefore we cater our services to the individual clients needs. Our services cover every aspect of a remodel, and we can work with you from concept through completion. Our goal is to make every kitchen remodel and bathroom remodel easier for you, and to make each step of the process an exciting and completely satisfying experience. We work hard to successfully to exceed our clients' expectations, and pride ourselves on fulfilling clients kitchen or bathroom dreams! Authorized Dura Supreme Cabinetry Dealer. 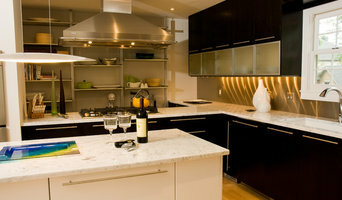 I am an Interior Designer, specializing in kitchen and bath design and remodeling. I plan, design, and furnish interiors of residential buildings and spaces and formulate designs which are practical, aesthetic, and conducive to intended purposes, such as improving life style. My prime responsibility is studying and evaluating the potential of the space, preparing the best possible blueprints for the space, determining the needs and wants of the client(s) to create the design to their satisfaction, initiating professional relationships and meeting with workmen to execute the plan in the best possible way. I have strong focus on preparing cost and time estimates of the project, and possessing the knowledge of latest trends and incorporating them creatively in the designs. My computer software allows me to create floorplans, elevations and perspective views of my spaces to help my clients better visualize their projects. I work hard at giving my clients the space they envision and to make their day-to-day lives functional, beautiful and timeless. Cooknee is Cincinnati's exclusive showroom focused on European-style cabinets -- the perfect balance of style, space and function -- plus countertops and hardware to match. Cooknee, founded in 2005, is a full-service kitchen & bath cabinet design showroom featuring European-style, frameless cabinets. We offer design and installation services plus complementary products in countertops, hardware, lighting and tile. We can work directly with you or your builder/contractor. Give us a call, message, or stop in our showroom today so we can help you with your project! Space planning for today's lifestyle. Custom design services including kitchens, baths, mudrooms, laundry, home office and more. I believe every space should be functional and visually pleasing. My goal is to inspire, inform and assist through the process of transforming your space to result in a unique and personalized expression of yourself. Kitchen Concepts has established itself as one of the premier kitchen Remodeling & Bath remodeling companies in Cincinnati. We specialize in a wide range of kitchen remodeling and kitchen design services; helping you from design to installation. Our customers are special, that’s why we take the extra step to educate them on all aspect of their Cincinnati home kitchen remodeling project. Our professional design team led by Patrick H. Ryan, C.K.D. 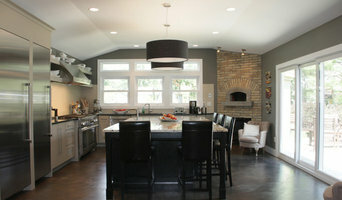 (Certified Kitchen Designer) and President, will customize your plan into the perfect “one of a kind” dream kitchen. 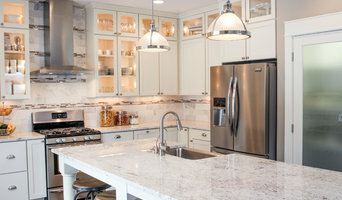 *Authorized Dura Supreme Cabinetry Dealer* Since the early 1960s, Kinsella has been combining expertise and ingenuity to craft thousands of kitchens, baths, and other rooms. Today, the second generation of the Kinsella family continues the tradition of quality, service, and excellence. Our experienced, award-winning designers assist our clients every step of the way to ensure that your cabinetry is exactly what you imagine - both beautiful and functional. More than 50 years experience ensures great ideas. Family owned and operated, we literally grew up in the custom cabinetry business. Whether you are looking for traditional or more contemporary cabinetry to suit your lifestyle, we work hard to make your space beautiful, functional, and state-of-the-art. The best place to start is a trip to our showroom. We will discuss with you our products and our process, show you cabinetry and countertop samples, and some of our previous work. At the showroom meeting, we'll schedule a home visit if needed (if you are building, please bring your architectural plans to the showroom so we can review all the areas where you'll need cabinetry) Based on your architectural plans or the home visit, we'll create designs and a preliminary budget/quote. We'll meet again to fine-tune the designs--reviewing different options and exploring all the possibilities. Once the design is finalized, we'll produce a more specific quote. Once signed, plans become property of the homeowner, and construction can begin. Welcome to A.Kitchen Design House! We serve the Greater Cincinnati Area by offering Kitchen, Bath and Interior Design services. We look forward to creating a space that is unique to you and your family by combining your personal aesthetics with functional space planning and organization. AKDH offers hourly consultation, full design services, cabinetry, countertops and more. Ashley Kasper, Owner and Lead Designer, graduated from The Ohio State University with a degree in Interior Design and has specialized in the Kitchen and Bath Industry for over eight years. She has a creative approach to kitchen and bath design while focusing on function and timeless aesthetics. Ashley’s fresh outlook and enthusiastic personality bring a new dimension to today’s design world. She is a Past President for the National Kitchen & Bath Association (Texas Gulf Coast Chapter) and served on the board for over 5 years. Ashley was recently awarded the honor of being recognized as one of NKBA’s “30 Under 30” up and coming young professionals in the Kitchen and Bath Industry in North America and Professional Remodeler's "40 Under 40" rising stars in the remodeling industry. Ashley has been published in a number of national magazines including Kitchens - The Art of Kitchen & Bath Design, K+BB and Professional Remodeler. Ashley married her college sweetheart, Nathan Kasper. They love watching Ohio State Football, traveling, and hanging out with their dogs and cats. I created this page when I was a designer for Lowe's. I have chosen to keep the page the same now that I am again designing independently. I will add more here about me soon or you can also review information about me on the link to linkedin. If you have any questions feel free to post here. Ideal Cabinetry serves the Cincinnati area with exquisite kitchen and bath design. ICD uses great quality cabinetry, countertops and hardware to create a beautiful yet functional design for your own unique room. Our exceptional design process allows minimal stress for clients while allowing them full input on the overall design. Ideal Cabinetry specializes in custom designs for any budget. 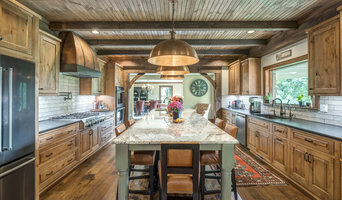 From an amazing custom kitchen, bathroom, laundry to a simple fixer upper, Ideal offers Dutch Custom Amish, Kith Cabinetry, BJ Tidwell, and Wellborn Forest cabinetry lines for their broad offering of woods, styles and a custom color match programs. Bring us your color samples and we'll create your space around that color palette. What does a Dayton kitchen designer or bathroom designer do? A kitchen and bath design professional in Dayton, OH knows to take all of these crucial points into consideration and can help plan the layout, materials and overall look and feel of either of these rooms in your home. Kitchen designers, as well as bathroom designers, are constantly staying on top of trends in the ever-changing industry. The designer also knows the best layout for your room, and can configure the layout for optimal functionality and utilization of the space. In the kitchen the refrigerator, stove and sink should be laid out in relation to one another, and it should be seamless and easy to move from one to the other. 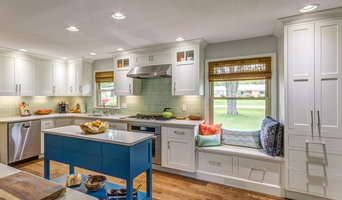 A Dayton kitchen and bath designer will know how to work with a contractor and architect to plan the flow of the room to work best for your needs. Here are some related professionals and vendors to complement the work of kitchen & bath designers: Kitchen & Bath Fixtures, Appliances, Tile, Stone & Countertops, Cabinets & Cabinetry, Woodworkers & Carpenters. Before you talk to bath and kitchen designers in Dayton, OH, consider how you will use the room. For your bathroom, is it necessary to have a bathtub for bathing kids or pets, or would a shower suffice? Perhaps all you need is a half bath for downstairs or a smaller guest bath for occasional use. Similarly, for kitchen renovations consider your cooking habits. Do you eat out every night but need a space to entertain in? If so, a smaller kitchen might be fine for you, with a space devoted to wine storage or a bar, whereas others might prefer a bigger stove or extra cabinets. When interviewing Dayton kitchen and bath designers, make sure to share these habits so they can best fit the room to suit your needs. Find a Dayton kitchen designer or bathroom designer on Houzz. Narrow your search in the Professionals section of the website to Dayton, OH kitchen and bath designers. You can also look through photos in Dayton, OH to find a kitchen or bathroom you like, then contact the professional who designed it.